Hi. 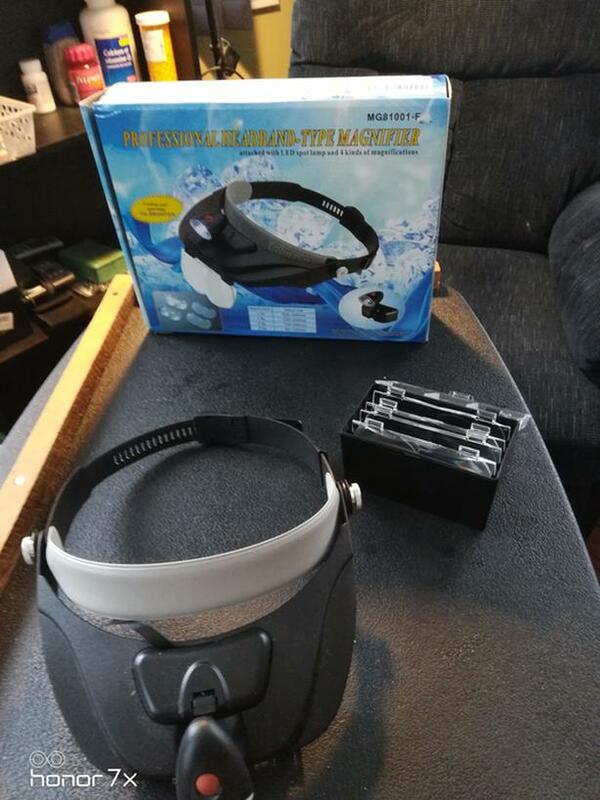 I bought a magnifier for my elderly mother that you can wear on your head like a welding cap, with 4 lenses and a light, but she can't use it because the lenses don't do anything to help her see things on the computer or to read any better than her prescription glasses do for her. so, her loss is your gain. the package plus the lenses cost more than i am advertising. Lenses come in a box and the unit comes with its box as well. worn a couple of times to test it out. that's it.